Aryabhata, the great Indian astronomer was the first person to made an attempt on measuring the circumference of the earth. He mentioned it was 24835 miles which was very closer to the mordern scientific calculation of 24990 miles. 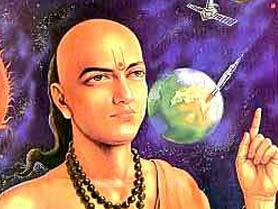 Aryabhata was born in Taregna, a small town near by Indian city 'Patna' located in the Indian state 'Bihar'. He was born in 476CE. Aryabhata wrote several notes on mathematics and astronomy. Some of them were lost. The concepts he wrote were survived to modern times as well. In his books he covered arithmetic, algebra, plane trigonometry, spherical trigonometry, fractions, quadratic equations, sums-of-power series, and a table of sines which were still used in morden science and mathematics. He is the person to get ZERO system into use. The French mathematician Georges Ifrah explains that knowledge of zero was implicit in Aryabhata's place-value system. Aryabhata concluded the approximation for pi is irrational. He wrote "Add four to 100, multiply by eight, and then add 62,000. By this rule the circumference of a circle with a diameter of 20,000 can be approached." in the second part of the Aryabhatiyam. This is how the value 3.14 for pi came and it was still used in modern mathematics. Solar and lunar eclipses were scientifically explained by Aryabhata in his period itself. Aryabhata calculated the rotation period of the earth as 23 hours, 56 minutes, and 4.1 seconds which was very close to the modern value 23 Hours 56 Mins 4.091Secs. India's first satellite named as Aryabhata in his honour. Still many mathematical competitions are held in his name. He died on his 74th age (550 CE). But he left big knowledgebase on science and mathematics , which really helps our modern science to perform better.